Henry Bond, Genealogies of the Families and Descendants of the Early Settlers of Watertown, Massachusetts, , at https://books.google.com/books?id=_oc6AQAAIAAJ . Boston: Little,Brown & Company, (1855) , p. 231. "Massachusetts, Town Clerk, Vital and Town Records, 1626-2001," database with images, FamilySearch (https://familysearch.org/ark:/61903/1:1:FCSG-CVX : 13 July 2016), Joseph Gardner and Martha Bucknam, 23 Oct 1804; citing Marriage, Malden, Middlesex, Massachusetts, United States, , town clerk offices, Massachusetts; FHL microfilm 14,774. Vital Records of Medford, Massachusetts To the Year 1850, Boston, Mass. 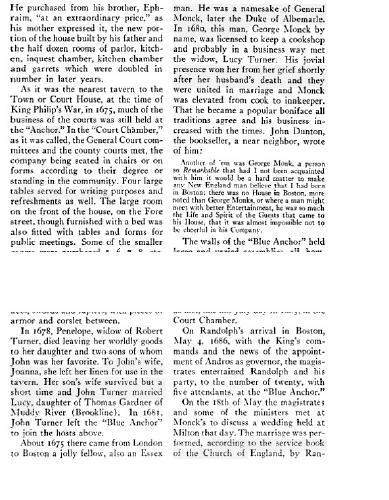 : The New England Historic Genealogical Society, (1907) , p. 62. Joshua Gardner was born perhaps about 1801. Joshua married Ann Jane Howard, daughter of John Day Howard and Lucy Clark, on May 19, 1828 in Dorchester, Massachusetts. James Savage, A Genealogical Dictionary or The first Settlers of New England showing Three Generations or Those who came Before May, 1692 on the Basis of Farmer's Register, (1862) , vol. 2, p. 231. 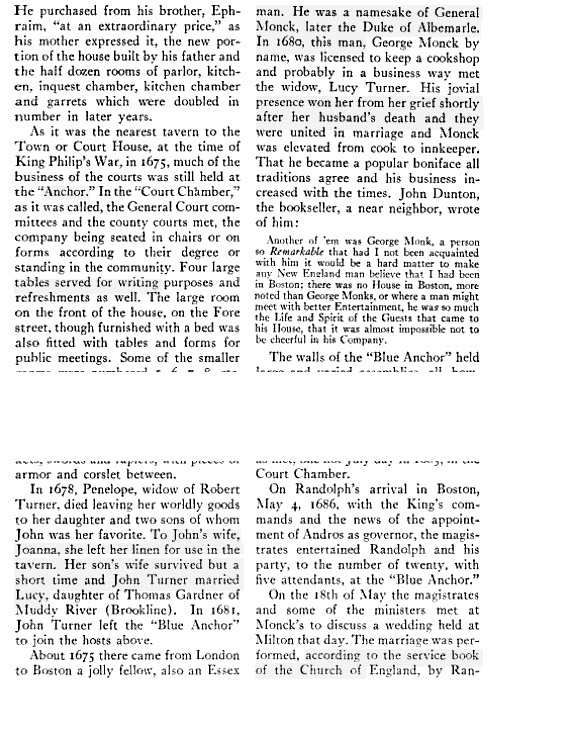 "Massachusetts Births and Christenings, 1639-1915," database, FamilySearch (https://familysearch.org/ark:/61903/1:1:VQ6L-8BX : accessed 17 October 2015), Joshua Gardiner, ; citing , ; FHL microfilm 0928294 IT 3. "New Hampshire, Death Records, 1654-1947," index and images, FamilySearch (https://familysearch.org/pal:/MM9.1.1/FSV9-725 : accessed 01 Dec 2012), Laura Ann Black, 05 Apr 1921. Sandy Leeds Jenkins, "My Line of Descendants," e-mail message from e-mail address to Steven G. Levine, 12/9/2001 6:51:09 PM. 1880 United States. Census Office. 10th census, 1880 federal population census, Washington, District of Columbia: National Archives and Records Service, ([19--]) , FHL Film 1254764; National Archives Film T9-0764; Page 615C. Record added: Dec 13, 2015. "Massachusetts Births and Christenings, 1639-1915," database, FamilySearch (https://familysearch.org/ark:/61903/1:1:VQ62-YTY : accessed 17 October 2015), Lucia Gardner, ; citing , ; FHL microfilm 0928294 IT 3. "[page assembled from Google Books snippets]", Old-time New England, Volumes 19-20, Society for the Preservation of New England Antiquities, (1929) , p. 157. James Savage, A Genealogical Dictionary or The first Settlers of New England showing Three Generations or Those who came Before May, 1692 on the Basis of Farmer's Register, (1862) , Vol. 4, p. 347. "Massachusetts Births and Christenings, 1639-1915," database, FamilySearch (https://familysearch.org/ark:/61903/1:1:FCWL-Z6R : accessed 13 November 2015), John Turner in entry for John Turner, 01 Nov 1681; citing BOSTON,SUFFOLK,MASSACHUSETTS, ; FHL microfilm 397,042. Henry Whittemore, Genealogical Guide to the Early Settlers of America, , at https://books.google.com/books?id=cSrlHHj2AFcC&dq . Baltimore, Maryland: Genealogical Publishing Company, Inc., (1898, 1967, 2001) , p. 373. 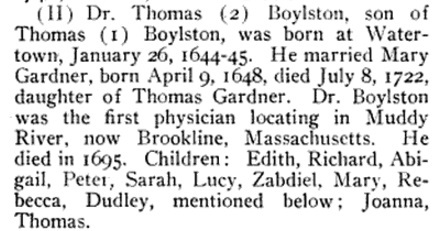 "Massachusetts Births and Christenings, 1639-1915," database, FamilySearch (https://familysearch.org/ark:/61903/1:1:FHTQ-GXX : accessed 10 January 2016), Lucy Gardner, 28 Oct 1722; citing Newton, Middlesex, Massachusetts, 61; FHL microfilm 745,868. James Savage, A Genealogical Dictionary or The first Settlers of New England showing Three Generations or Those who came Before May, 1692 on the Basis of Farmer's Register, (1862) , vol. 1, p. 226. "Massachusetts, Town Clerk, Vital and Town Records, 1626-2001," database with images, FamilySearch (https://familysearch.org/ark:/61903/1:1:F4LG-8QX : 13 July 2016), Mary Gardner, 11 Mar 1678; citing Birth, Roxbury, Suffolk, Massachusetts, United States, , town clerk offices, Massachusetts; FHL microfilm 741,320. John Adams Vinton, The Vinton Memorial: Comprising a Genealogy of the Descendants of John Vinton of Lynn, 1648: Also, Genealogical Sketches of Several Allied Families ... With an Appendix Containing a History of the Braintree Iron Works, and Other Historical Matter, , at https://books.google.com/books?id=swVaAAAAMAAJ . Boston: S.K. Whipple and company, (1858) , p. 154. Record added: Jul 22, 2011.